The ADDERView RDX 1000 is a complete server room solution with local and remote management. The 1U keyboard tray is available in most keyboard language layouts and features either a 17 inch or 19 inch premium quality Samsung SXGA 1280 x 1024 TFT LCD panel with touch-pad control and advanced OSD for device selection. Control 16 computers directly from the tray together with a remote user. 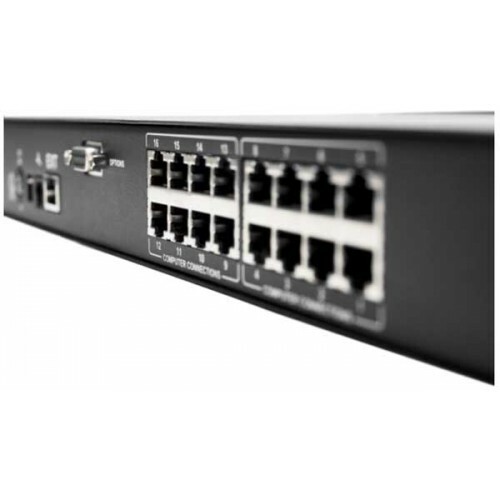 Expands to support up to 256 computers using CATx 1000 switches. Enables a remote user to connect via a CATx cable and share access to the 16 computers with the local user. The RDX 1000 can be controlled by a user from up to 300m away over CATx cable using the ADDERLink X200 or X100 receiver and the integrated CATx extender. 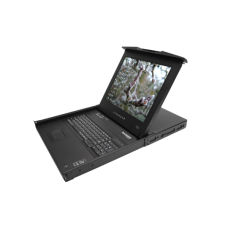 The RDX 1000 supports any computer platforms with PS/2, USB and Sun keyboard and mouse interfaces. Country code reporting, DDC and continuous keyboard and mouse emulation ensure faultless operation. The RDX 1000 provides exceptionally high video performance to local and remote users alike, supporting up to 1920 x 1200 resolutions with DDC emulation which is further enhanced by DC balancing to ensure full and true colour. Integrated RS232 gives you the ability to control other external devices such as power management devices. The RDX enables you to configure 16 separate users internally with unique access privileges all of which are stored within the switch.